In the basement of a nondescript building opposite the Ginza metro station in Tokyo, sits one of the world’s most exclusive restaurants. With only 10 seats, no menu, a three month waiting list, and a $400 price tag for a twenty minute meal, Sukiyabashi Jiro is an unlikely source for coaching wisdom. 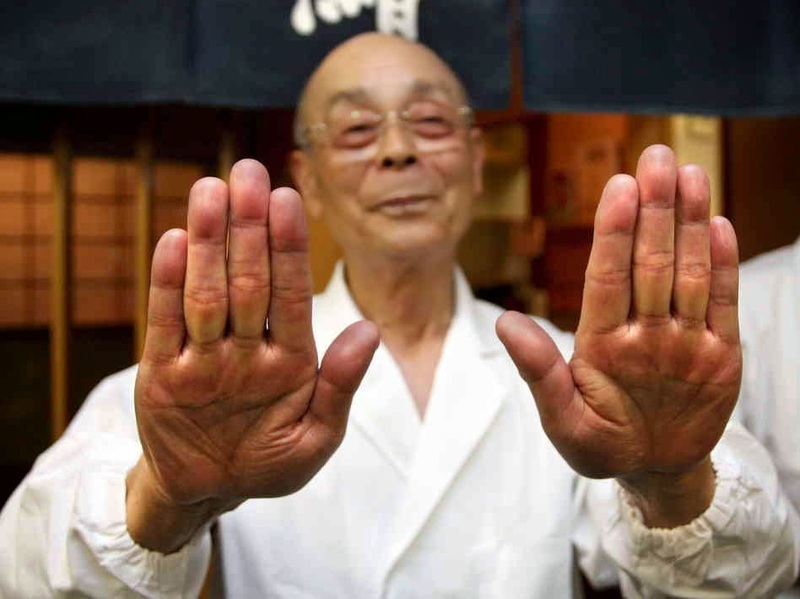 The proprietor, Jiro Ono, left home at the age of 9, and has been making sushi ever since. Now 89, he has devoted his life to mastering his craft - a dedication beautifully brought to life in 2011’s Jiro Dreams of Sushi. Last week, when it popped up on my Netflix ‘suggested for you’ list, little did I know that I would spend the next 82 minutes captivated by not only this brilliantly shot, visually captivating film, but by Jiro himself - a man of rare wisdom. I have since re-watched it another four times - fearful I may have missed something on previous viewing. Jiro is an inspiration; there is so much we can learn from this little man, and the film that follows him. "Once you decide on your occupation. You must immerse yourself in your work. You have to fall in love with your work. Never complain about your job. You must dedicate your life to mastering your skill. That's the secret of success and is the key to being regarded honorably." Note that he did not imply ‘do what you love’ - but ‘love what you do’. The distinction is important. It implies that enjoying your life is an active process. It does not mean that if you do not love what you do, you quit and find something else you may love. What he is saying is that - like any relationship - success requires work. It requires sticking to it when times are tough. It requires realization of the dedication necessary to succeed. People all over the world travel to Ginza solely to visit this 3 Michelin star restaurant. That only serves sushi. Jiro does one thing. He makes sushi. No special rolls. No appetizers. And no sashimi. Instead, he serves each person a daily menu of about 20 pieces of fish sitting atop of 2 inches of rice. Placing it alone in the middle of a black plate, he serves each piece one at a time. Each forced to stand on its own merits. To become a master at something, we must be comfortable with the mundane. We must fall in love with the tedious. Repetition means just that: Repetition. This focus for Jiro goes beyond his work: he repeats the same routine every day - even down to standing at the same spot when waiting for the train. Jiro doesn’t take holidays. He shows up every day. Jiro was given a special award by the Japanese government. He went to the award ceremony during the day and was back at work that same evening. Apparently, he got tired of sitting around. The joy in this young apprentice’s face, his respect for his mentor, and his obvious passion for his craft is inspiring. fish broker: “These days the first thing people want is an easy job. Then, they want lots of free time. And then, they want lots of money. But they aren’t thinking of building their skills. His devotion is apparent in one scene where he methodically roasts sheets of nori, speaking of the necessity in doing one thing over and over again - until it becomes a part of your being. And finding peace in this work. His monologue is eloquent, and detailed. But he never skips a beat - drumming the nori over the fire at a monotone pace. Jiro’s all about the process. To his customer, all they see is the sushi. 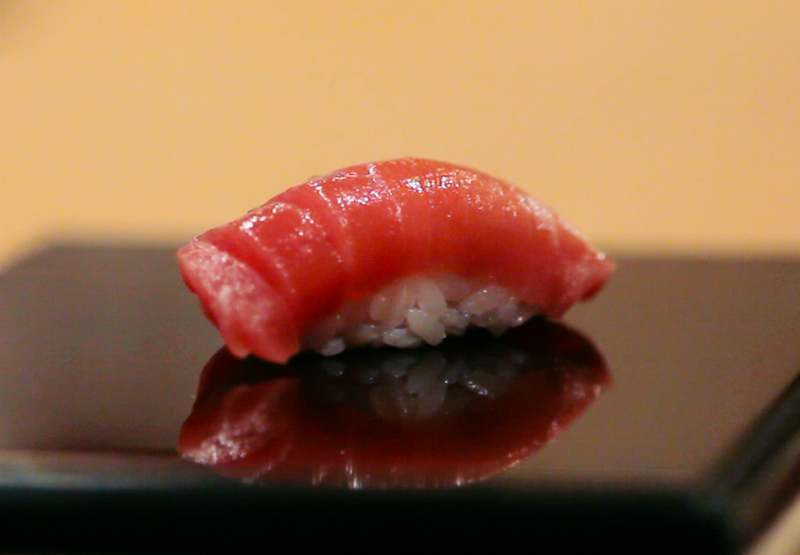 To Jiro, what matters most is the experience of making that sushi. Kaizen is a Japanese term, that roughly translates to improvement, or 'change for the better'. It is one of process - of continual improvement in technique and practice; a relentless pursuit of perfection. It is a term that came to mind while Jiro was discussing massaging the octopus. 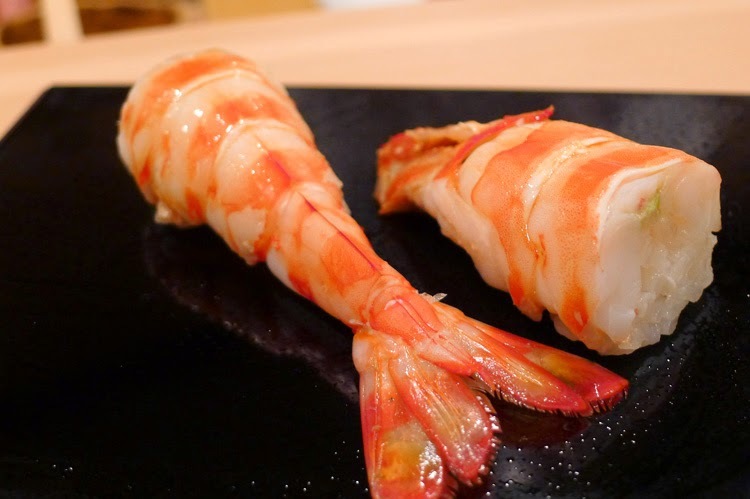 Before cooking, Jiro used to massage it for 30 minutes. Now he massages it for 45 - rendering it even more tender and tasty. that nothing new could be invented. but there's always room for improvement." When the film was made, Jiro was 85 years old. And even after over 70 years of experience, it is obvious he still has a lust for knowledge. Every day is an opportunity to improve on the one which preceded it. High performance summed up. Thank you. Fantastic article and a must see film. a coaches' guide to strength development: PART V: is history a good predictor of the future? how do we eliminate doping in sport?